This section contains close-ups of the finished lace, divided into six sections. 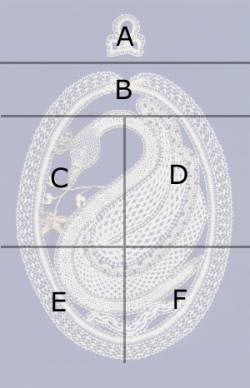 The lace is shown from the reverse side, which is how the lacemaker sees it when working. If you click on the map below a pop-up window will appear, from which you can print if you wish. A pdf version of this is provided for viewing with the free Adobe Acrobat Reader.